The ballista (Latin, from Greek βαλλίστρα ballistra and that from βάλλω ballō, "throw"), plural ballistae, was an ancient missile weapon that launched a large projectile at a distant target. The earliest mention of ballista in literature occurs in the Bible, as invented and used under the reign of king Uzziah: II Chronicles 26:15: "And he made in Jerusalem engines, invented by cunning men, to be on the towers and upon the bulwarks, to shoot arrows and great stones withal. And his name spread far abroad; for he was marvellously helped, till he was strong." Developed from earlier Greek weapons, it relied upon different mechanics, using two levers with torsion springs instead of a prod (the bow part of a modern crossbow), the springs consisting of several loops of twisted skeins. Early versions projected heavy darts or spherical stone projectiles of various sizes for siege warfare. It developed into a smaller sniper weapon, the scorpio, and possibly the polybolos. The early ballista in Ancient Greece was developed from two weapons called oxybeles and gastraphetes. The gastraphetes ('belly-bow') was a hand held crossbow. It had a composite prod and was spanned by bracing the front end of the weapon against the ground while placing the end of a slider mechanism against the stomach. The operator would then walk forward to arm the weapon while a ratchet prevented it from shooting during loading. This produced a weapon which, it was claimed, could be operated by a person of average strength but which had a power that allowed it to be successfully used against armoured troops. 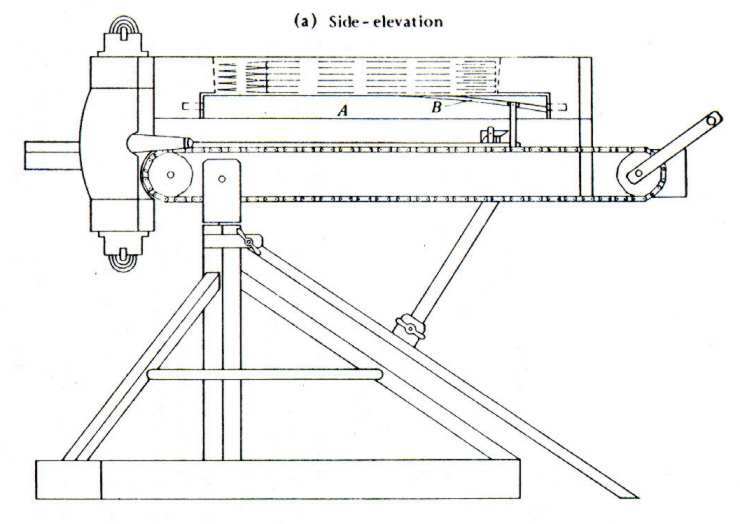 The oxybeles was a bigger and heavier construction employing a winch, and was mounted on a tripod. It had a lower rate of fire and was used as a siege engine. With the invention of torsion spring bundle technology, the first ballista was built. The advantage of this new technology was the fast relaxation time of this system. Thus it was possible to shoot lighter projectiles with higher velocities over a longer distance. 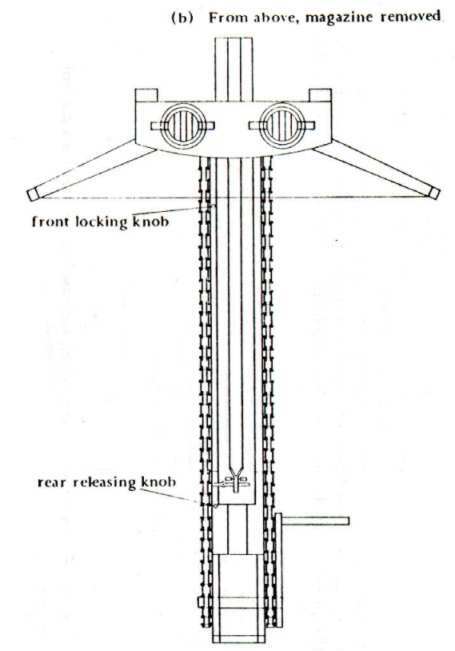 For an oxybeles, the rules of a torsion weapon demanded that the more energy could be stored, the thicker the prod had to be and the heavier the projectile, to increase the amount of stored energy delivered to the projectile. The earliest form of the ballista is thought to have been developed for Dionysius of Syracuse, circa 400 BC. The Greek ballista was a siege weapon. All components that were not made of wood were transported in the baggage train. It would be assembled with local wood, if necessary. Some were positioned inside large, armoured, mobile siege towers or even on the edge of a battlefield. For all the tactical advantages offered, it was only under Philip II of Macedon and even more so under his son Alexander, that the ballista began to develop and gain recognition as both siege engine and field artillery. Polybius reports about the usage of smaller more portable ballistae, called scorpions, during the Second Punic War. Since these weapons delivered lighter munitions (thus delivering less energy on impact) it is a widely held opinion that they were used more as an anti-personnel role, or to destroy lighter structures. A less accurate weapon like an onager or other single-arm artillery could hit with more force, and thus would be the more useful weapon against reinforced wood or heavy masonry. It was used, just before the start of the Empire, by Julius Caesar during his conquest of Gaul and on both of his campaigns in subduing Britain. Both attempted invasions of Britain and the siege of Alesia are recorded in his own Commentarii (journal), The Gallic Wars (De Bello Gallico). In Gaul, the stronghold of Alesia was under a Roman siege in 52 BC, and was completely surrounded by a Roman fortifications including a wooden palisade and towers. As was standard siege technique at the time, small ballistae were placed in the towers with other troops armed with bows or slings. During the conquest of the Empire, the ballista proved its worth many times in sieges and battles, on sea and on land. It was even used to quell riots. It is from the time of the Roman Empire that many of the archaeological finds of ballistae date. Accounts by the finders, including technical manuals and journals, are used today by archaeologists to reconstruct these weapons. After Julius Caesar, the ballista was a permanent fixture in the Roman army and, over time, modifications and improvements were made by successive engineers. 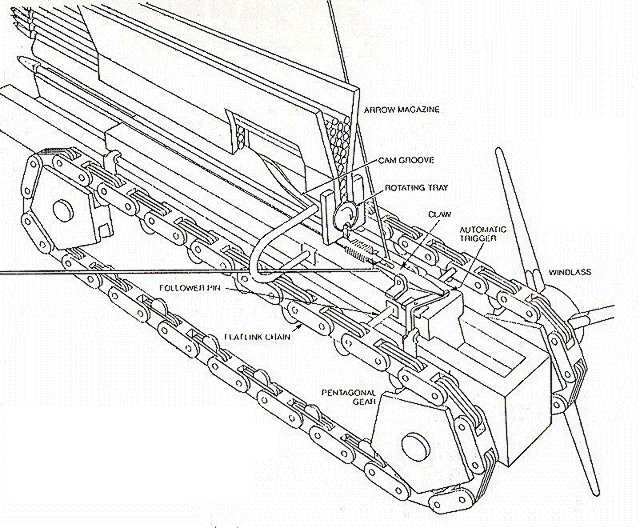 This included replacing the remaining wooden parts of the machine with metal, creating a much smaller, lighter and more powerful machine than the wooden version, which required less maintenance (though the vital torsion springs were still vulnerable to the strain). The largest ballistae of the 4th century could throw a dart further than 1200 yards (1,100 m). The weapon was named ballista fulminalis in De Rebus Bellicis: "From this ballista, darts were projected not only in great number but also at a large size over a considerable distance, such as across the width of the Danube River." Ballistae were not only used in laying siege: after AD 350, at least 22 semi-circular towers were erected around the walls of Londinium (London) to provide platforms for permanently-mounted defensive devices. The carroballista was a cart-mounted version of the weapon. Probably there were different models of this cart-mounted ballista of the cheiroballistra class, at least two different two-wheeled models and one model with four wheels. Their probable size was 1.47 m width, i.e., 5 Roman feet. The cart system and structure gave it a great deal of flexibility and capability as a battlefield weapon, since the increased maneuverability allowed it to be moved with the flow of the battle. This weapon features several times on Trajan's Column. The most influential archaeologists in this area have been Peter Connolley and Eric Marsden, who have not only written extensively on the subject but have also made many reconstructions themselves and have refined the designs over many years of work. Though the weapon continued to be used in the Middle Ages, it faded from popular use with the advent of the trebuchet and mangonel in siege warfare. The crossbow supplanted it as a sniper weapon. They all were simpler to make, easier to maintain (no anointment) and much cheaper. ↑ De Rebus Bellicis, Chapter XVIII: ballista fulminalis. Note: The modern width of the Danube is 1.5 km. During the Roman Empire, it was unlikely to have been less than 1.1 km, bearing in mind that Trajan's Bridge is known to have been longer than 1.1 km. This page was last modified on 15 December 2015, at 20:47.